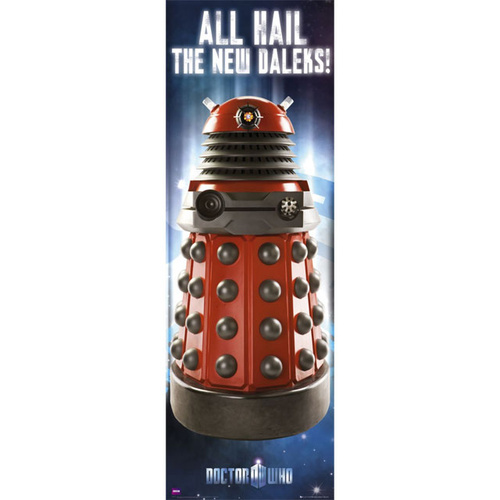 All hail the new Daleks! This jumbo sized poster (53cm wide x 158cm high) features one of the new generation Daleks from the popular BBC sci-fi series Doctor Who! They're bigger and more terrifying than ever before, and the red Drone Dalek in particular is ruthless and aggressive!